Calendar: «Ohio Child Abuse Awareness Month». «Healthy sense of self» illustrated quotation. Child Abuse, free quote pictures for Facebook, Twitter, LinkedIn, Reddit, Pinterest and other social networks. 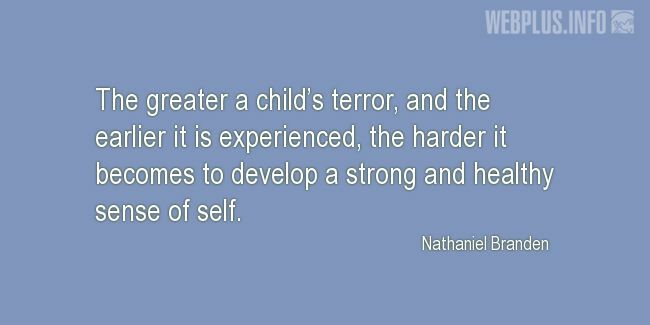 The greater a child’s terror, and the earlier it is experienced, the harder it becomes to develop a strong and healthy sense of self.